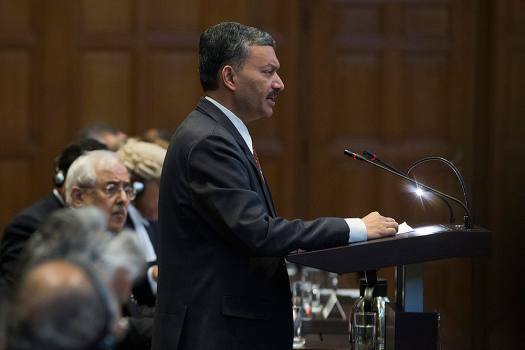 Deepak Mittal, the joint secretary of India's Foreign Ministry, presents oral arguments at the International Court of Justice, or World Court, in The Hague, Netherlands. 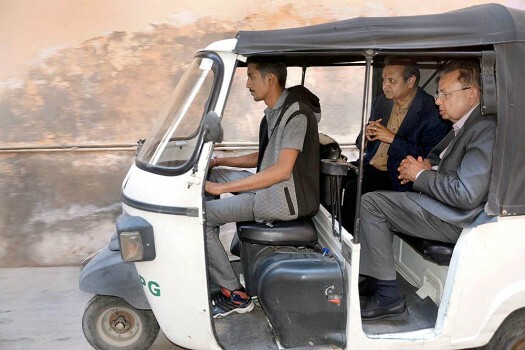 Justice Dalveer Bhandari, judge at International Court of Justice (ICJ), travels in an auto-rickshaw, in Jodhpur. 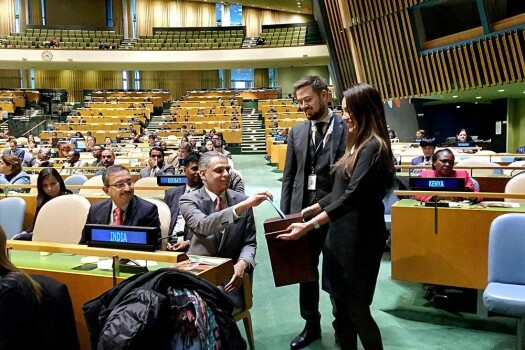 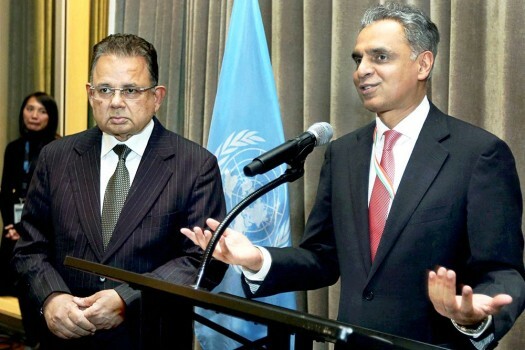 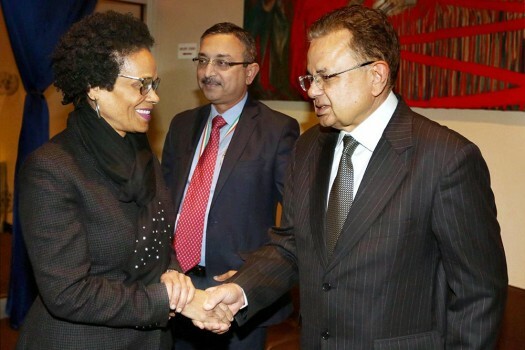 India's Justice Dalveer Bhandari being greeted during a reception organised in his honour at the United Nations in New York. 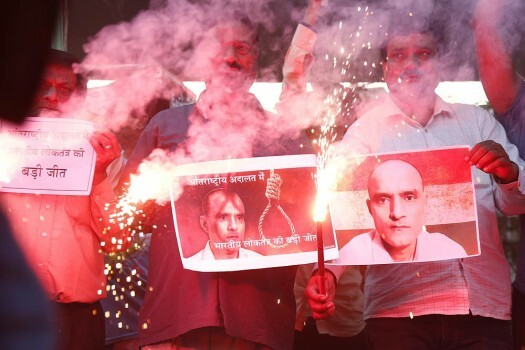 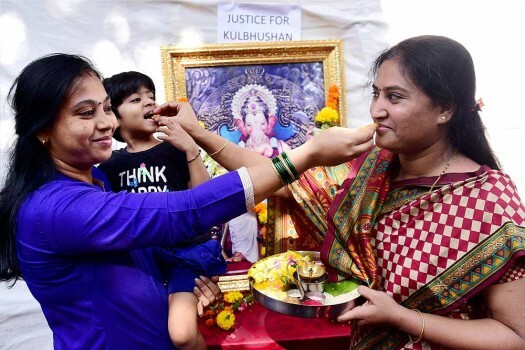 People holds posters of Indian naval officer Kulbhushan Jadhav and light fire crackers as they celebrate the International Court of Justice order on Jadhav, in Ahmadabad. 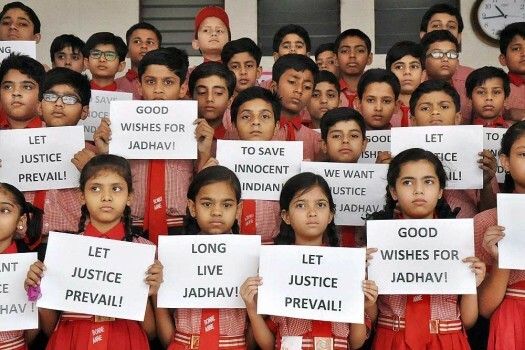 School children display posters as they wish Kulbhushan Jadhav for a favourable verdict from the International Court of Justice, in Moradabad. 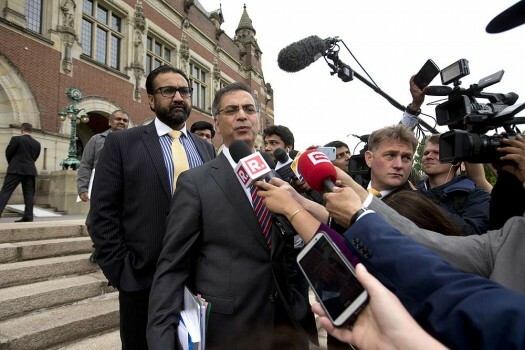 Moazzam Ahmad Khan, head of Pakistan's delegation and ambassador to the Netherlands, makes a brief statement after hearing the World Court's verdict in The Hague, Netherlands. 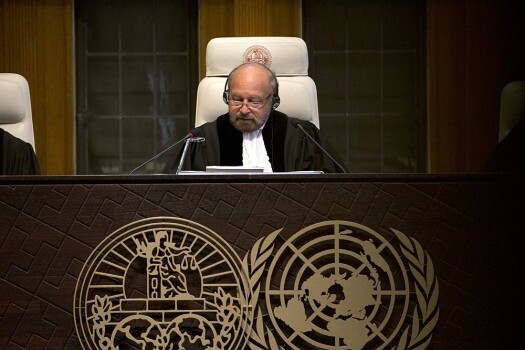 India on Wednesday questioned the functioning of Pakistan's notorious military courts and urged the top UN court to annul Jadhav's death sentence, which is based on an 'extracted confession'. 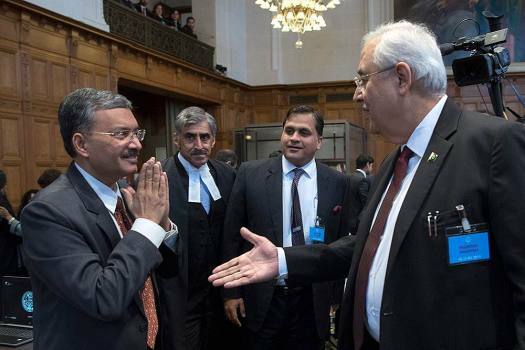 Harish Salve, who was representing India in the case, also said that the time has come for the ICJ to make Article 36 a potent weapon for protecting human rights. 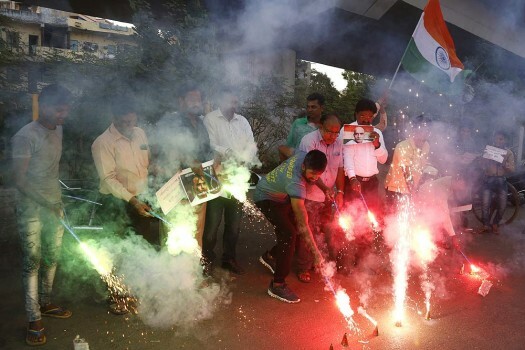 According to the Pakistan media, the account was blocked late on Tuesday after Indian authorities complained to the microblogging website. 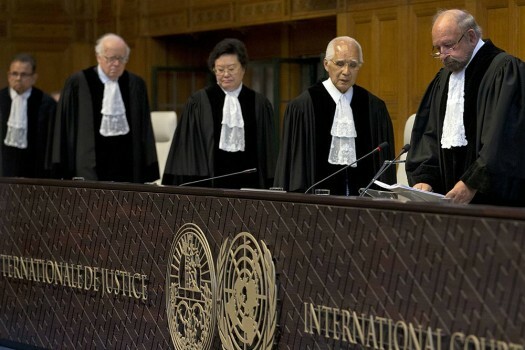 The International Court of Justice (ICJ) on Tuesday refused to entertain a request made by Pakistan to adjourn the hearing in the case of Kulbhushan Jadhav to appoint a new ad-hoc judge. 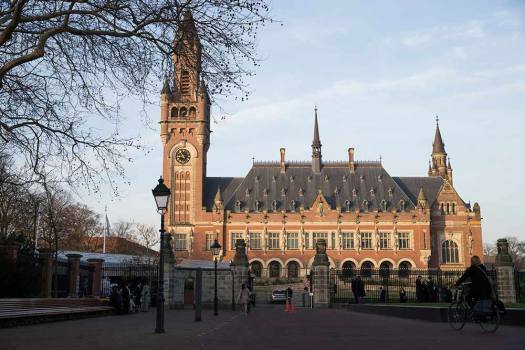 Jadhav's trial by a Pakistani military court "hopelessly failed to satisfy even the minimum standards of due process", ex-solicitor general Harish Salve told the ICJ. 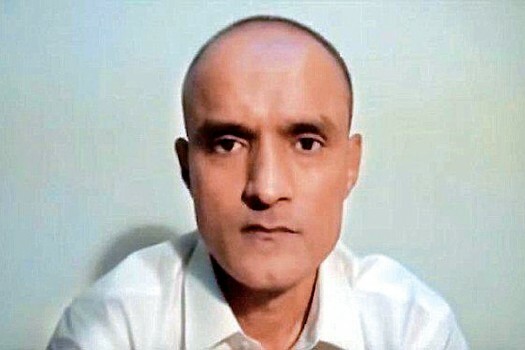 A 10-member bench of the ICJ on May 18, 2017 had restrained Pakistan from executing Jadhav till adjudication of the case. 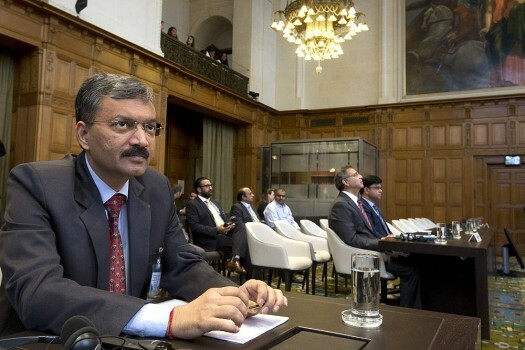 Pakistan's rejoinder has been prepared by a team of experts led by Pakistan's Attorney General. 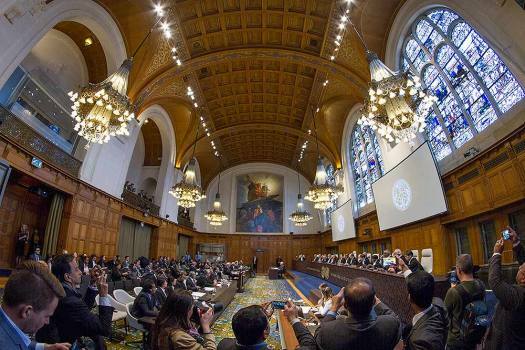 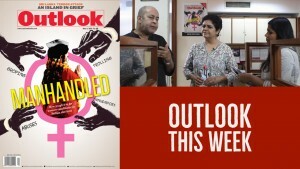 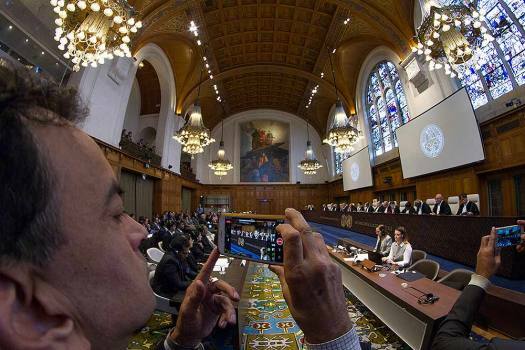 India had moved the ICJ in May last year after Jadhav, 48, was sentenced to death by a Pakistani military court on charges of espionage and terrorism.